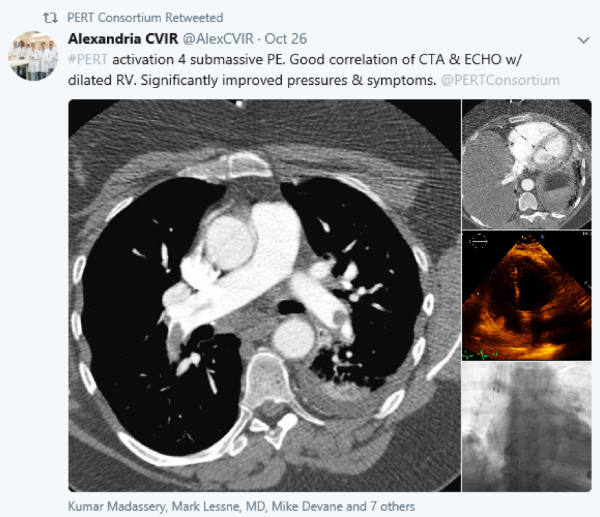 The PERT Consortium has a vibrant social media community which serves as a great way to communicate with fellow PERT members, hear the latest consortium news, share both cases, advice, and experience, and learn about recent advances in the field of venous thromboembolic disease. President Dr. Vic Tapson, and Communications Co-Chair, Dr. Aaron Weinberg, of the International PERT Consortium attend the opening ceremonies of the China PERT Consortium founded by Professor Shaoping Nie in Beijing, China. Congratulations on a wonderful start and we look forward to great international collaboration to combat this disease! 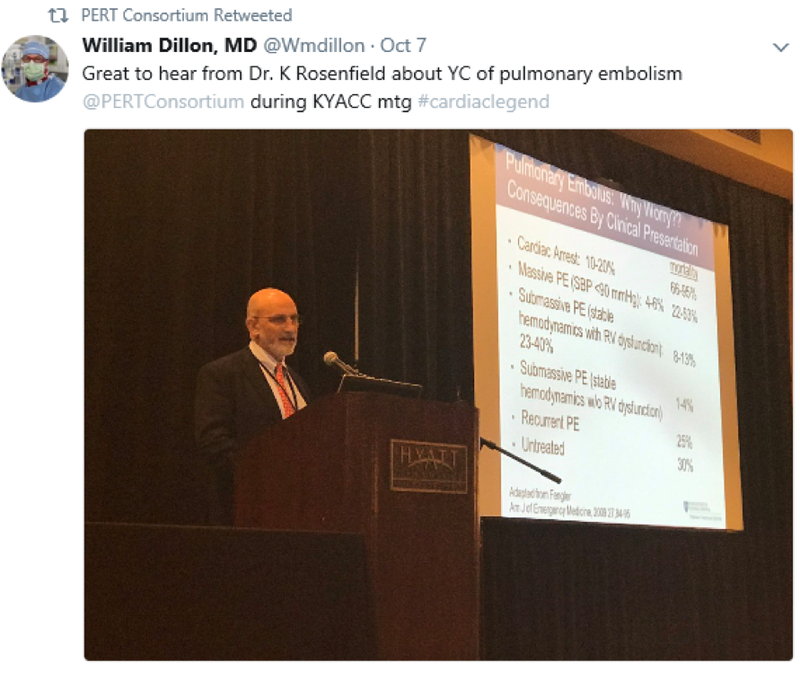 Immediate past president of the International PERT Consortium, Dr. Kenneth Rosenfield, speaking about PERT at the Kentucky American College of Cardiology meeting. 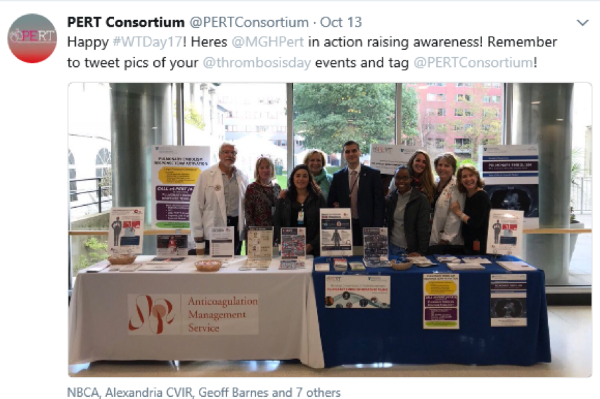 MGH PERT raising PE and PERT awareness on World Thrombosis Day 2017! 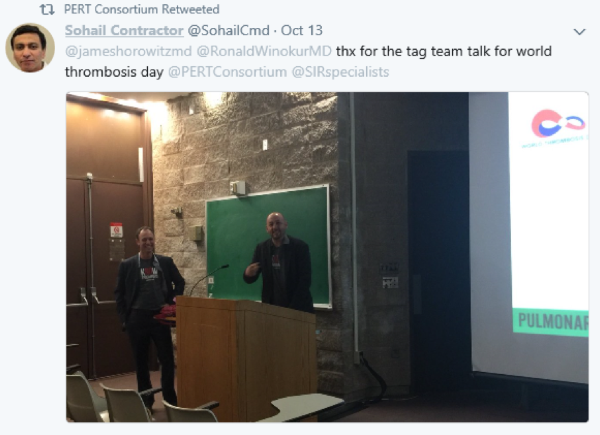 Dr. James Horowitz and Dr. Ronald Winokur giving grand rounds on World Thrombosis Day at Rutgers Newark. It is PERTy cool when technology meets medicine. 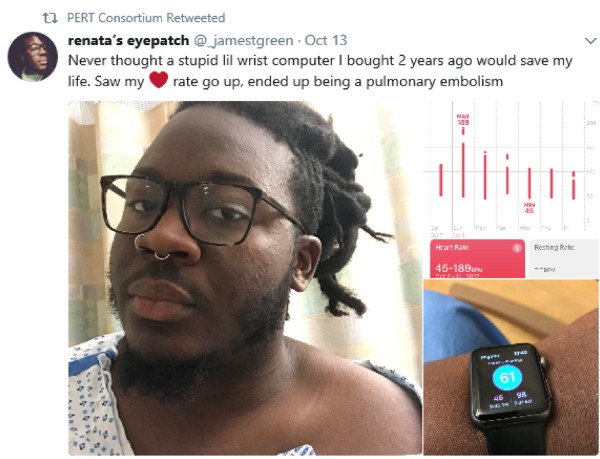 This patient notices tachycardia on his watch and it turns out to be a PE! 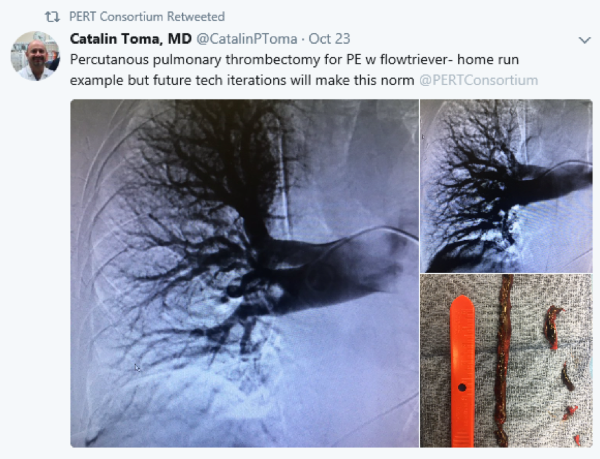 Dr. Catalin Toma with an impressive percutaneous clot retrieval case! That is a busy yet rewarding day with four successful PERT activations! 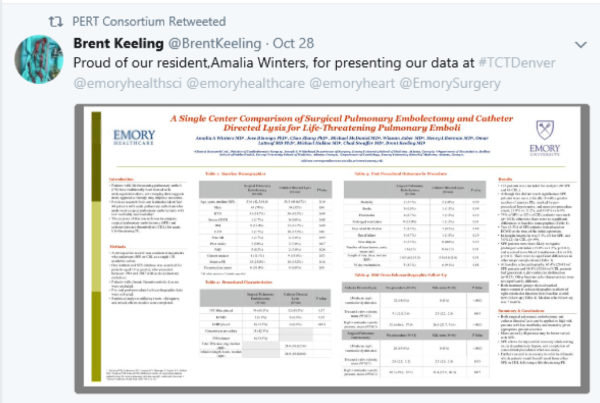 Cardiothoracic surgeon and PERT member, Dr. Brent Keeling, and resident physician, Dr. Amalia Winters, present a wonderful single center comparison of surgical pulmonary embolectomy and catheter directed lysis at the Transcatheter Cardiovascular Therapeutics (TCT) Conference in Denver, CO.